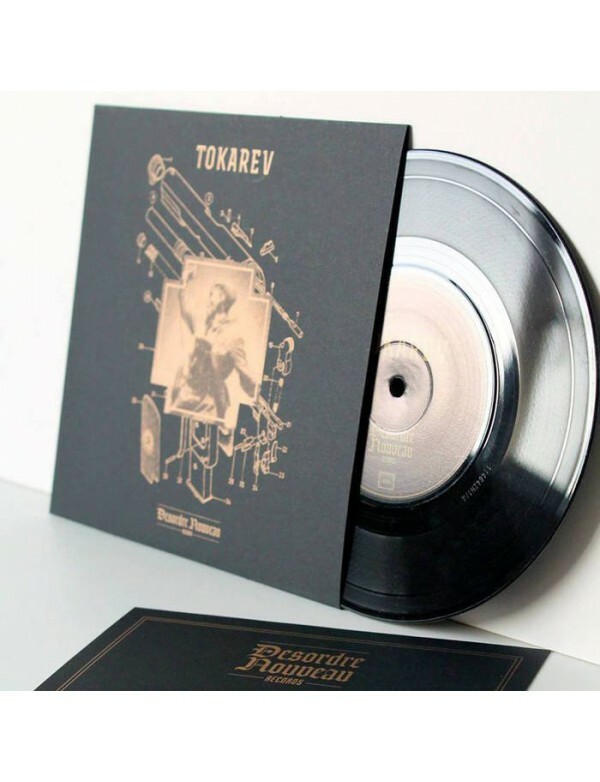 Meta title-Tokarev EIAE Split 7"
Split 7", 300 numbered copies, gold print on black cardboard paper with two sided insert. Tokarev and E.I.A.E were two separated projects, issued somewhere in time and country on tape back 10 years ago. 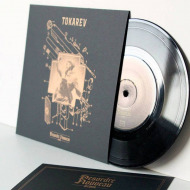 Two tracks on each side – Tokarev is Harsh Noise with distorted voices, samples and larsen. E.I.A.E is a more Dark Ambient/Ritual, mixing choirs & distorted ritual elements. Highly influenced by Catharism & Graal beliefs.